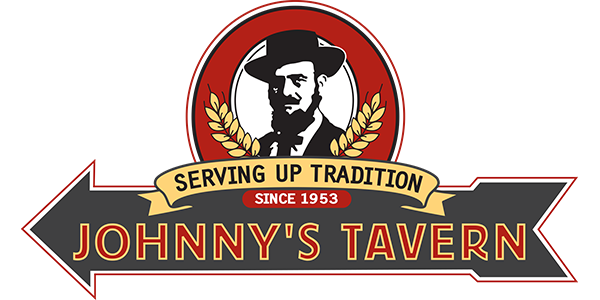 This menu can be found at the following Johnny’s Tavern locations: 119th St., Shawnee, Prairie Village, Olathe, Power & Light District, Antioch, Lee’s Summit, Blue Springs & Topeka. Stacked with white pizza sauce and melted cheese. Served with marinara. Hungry for a plate of fries? Our loaded fries come Garlic Parmesan or Classically Loaded with cheese, bacon, sour cream, and chives. Premium mozzarella cheese breaded and fried golden brown, served with warm marinara. Zesty, white cheese and spinach dip served with fresh tortilla chips. This creamy dip is perfect for wing sauce lovers. Chicken or beef with espinaca cheese sauce, topped with pico, black bean salsa, and black olives, and queso fresco. Served with your choice of classic salsa or salsa verde. Potato boats filled with cheese, bacon and scallions. Served with Johnny’s Dill Dip. Available in roasted red pepper and hot chipotle. Served with veggies and flatbread. A generous portion of house battered pickle chips and sliced jalapeños. Jalapeño cheddar tortilla with cheese, pico, sour cream and Johnny’s salsa. Choose either grilled chicken or grilled steak. Veggie Style – Wheat tortilla, spinach, cheese, pico, & peppers. Grab a beer! Served with Tank 7 cheese sauce and homemade Pale Ale mustard. Half dozen wings served on a bed of fries with ranch or blue cheese dressing. Try the Johnny’s Signature or Flaming double dipped for an extra crispy wing. This local favorite is our most popular style. We take half a dozen wings and coat with our very own Wilson sauce. Flash fried, finished on the grill and served on a bed of fries with ranch or blue cheese dressing. Our salad blend tossed with red and green peppers, onion, brussel sprouts, sunflower seeds, artichokes, tomatoes, garbanzo beans, served with a side of Hot Bacon Vinaigrette. Baby iceberg lettuce, bacon, tomato, crispy onions and blue cheese. Our salad blend tossed with roasted rep peppers, wasabi peas, celery, scallions, and fresh mushrooms. Topped with curly wontons and served with a Spicy Teriyaki Sesame dressing on the side. Chopped turkey and ham, iceberg lettuce, mushrooms, chopped eggs, red onions, shredded cheddar and Swiss cheese. Served with dressing of choice. Our salad blend, eggs, tomatoes, bacon, black bean salsa and blue cheese crumbles. Served with tarragon vinaigrette. Our salad blend, blue cheese crumbles, red onions, tomatoes, eggs and croutons. Served with blue cheese dressing. Jalapeno Cheddar tortilla triangles surround our salad blend tossed in a jalapeno ranch, then topped with rows of jack cheese, black beans, pico de gallo, cilantro, corn and salsa. We finish with a house made guacamole and chives right on top. Our salad blend, fresh basil, sliced heirloom grape tomatoes, with fresh mozzarella tossed in basil pesto drizzled with balsamic glaze. Our salad blend with feta cheese, green and red peppers, red onion, Greek kalamata olives, grape tomatoes and pepperoncini topped with Greek dressing. All Burgers come with choice of 1 side. Make any burger a grilled or fried chicken sandwich for a $1 upcharge. Fried Mac N”Cheese, shredded lettuce, cheese wiz and pickle on garlic toast. Wilson sauce, bleu cheese crumbles, bacon, crispy onions, garlic aioli and tomato. Tank 7 Cheese sauce and bacon topped with crispy onion straws and served on Texas Toast with a side of Wilson sauce. *Add Jalapenos for an extra kick. Smoked bacon and melted cheddar served on a toasted pretzel bun. Topped with guacamole, pepper jack & bacon on a toasted ciabatta bun. This one made us famous! 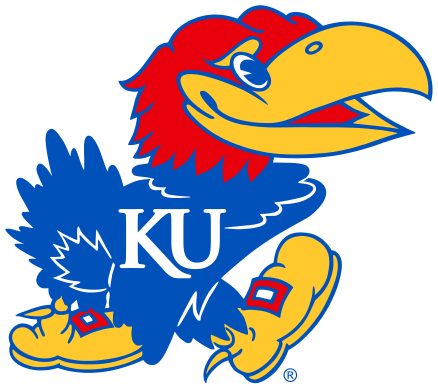 We started grillin’ these in Lawrence in 1978. Burger –American Cheese – Bun – ‘Nuff said! Topped with house breaded sliced jalapenos, pepper jack cheese, & jalapeno aioli. Served on a ciabatta bun. Wilson sauce, gouda cheese, bacon, red onion, and tomato served on a toasted pretzel bun. Crispy onion ring, cheddar, bacon, & BBQ sauce. In honor of Mr. John Wilson. Swiss, cheddar, & bacon. Our most popular burger by far! From scratch veggie burger with fresh onion, garlic, rice, garbanzo beans, cilantro, spices and topped with pepper jack cheese and tomato slices. A juicy all-white turkey burger. Breakfast & lunch on a bun. Topped with bacon, American cheese, & a fried egg. In honor of Johnny’s dad, Slim – This ain’t no kid’s burger! Double burger, double bacon, double cheddar and double Swiss. *Consuming raw or undercooked meat, poultry, eggs, seafood or shellfish increases the risk of foodborne illness. Premium Northern Atlantic Cod breaded with a Cajun twist. Topped with shredded lettuce, red onion, sliced tomatoes, and served with Johnny’s Southern tartar sauce. Smoked turkey, shredded lettuce, oil & vinegar, pico de gallo, and guacamole served in a whole wheat tortilla. Buffalo chicken strips, bacon, lettuce, tomato, and Johnny’s blue cheese dressing in a jalapeno cheddar tortilla. Choose grilled or crispy. Grilled chicken, lettuce, bacon, chipotle cream cheese and black bean salsa in a cheddar tortilla. Roast beef and Swiss on a toasted hoagie. Served with au jus. A house favorite! Lettuce, tomato, yellow onions and pickles. The best in town. The triple decker – smoked turkey, ham, bacon, Swiss, tomato and lettuce stacked on toasted wheat. Traditional Philadelphia Style with thinly sliced roast beef, grilled onions topped with classic Cheese Wiz and served on toasted hoagie. Tender chicken breast with tangy wing sauce, Swiss, lettuce, & tomato. Johnny’s ranch dressing on the side. Choose grilled or crispy. 3 Soft flour tortillas stuffed with fried shrimp, cabbage, pico de gallo, scallions, queso fresco topped with teriyaki and our own firecracker sauce. Your choice of 3 tacos served with onions, cilantro, lime, queso fresco on soft corn tortillas with salsa verde and jalapeno cilantro ranch on the side. Your choice of 3 soft corn, hard corn, or soft tortillas stuffed with queso fresco, shredded cabbage & pico. Served with jalapeno cilantro ranch and salsa. Creamy three cheese sauce with shell pasta and toasted bread crumbs. Served with Garlic Toast. ½ lb. fried butterfly shrimp, hush puppies, fries, and coleslaw. Served with cocktail sauce. Chicken tenders, fries, coleslaw, hush puppies and your choice of sauce. Pub battered fish fillets with “chips” from across the pond, hush puppies, coleslaw & Johnny’s tartar sauce. Broccoli, green beans and mushrooms, stir fried in teriyaki sesame and served over rice pilaf. Your choice of chicken, steak, or shrimp. Please allow 20 to 30 minutes for whole pies. Johnny’s pizzas are hand-tossed New York style with a delicious thin crust and Marinara Sauce. Add additional toppings to your pizza! Hand-tossed New York style with a delicious thin crust and Marinara Sauce. Grilled chicken and hot sauce topped with blue cheese crumbles or ranch dressing. Mushroom, red onion, green pepper, black olive, and your choice of one meat topping. Fresh basil, heirloom tomatoes, and fresh mozzarella. Roasted garlic, Kalamata olives, pepperoncini, and Italian sausage. Pepperoni, Italian sausage, Canadian bacon and hamburger. We cut our freshly made dough in to triangles and fry to a golden brown. Topped with cinnamon sugar, caramel, chocolate and served with ice cream. The perfect finish to any meal. Vanilla bean ice cream rolled in graham cracker crust deep fried to perfection and served in a cinnamon tortilla shell. ***Available with Rumchata for an additional charge. Everyone’s’ favorite Oreos double stacked and deep fried in pancake batter. Served on a bed of powdered sugar. You won’t be able to stop at just one! Warm brownie topped with vanilla bean ice cream and drizzled with chocolate and caramel sauce. Cole Slaw, Pub Chips, Fries, Fry-Ring Combo, Black Bean Salsa, Fresh Green Beans, Steamed Broccoli, Rice Pilaf or Cottage Cheese, Seasoned Fries. Brussel Sprouts, O-Rings, Sweet Potato Fries, Tater Tots, Classic Loaded Fries, Double Dipped Fries, Garlic Parmesan Fries.